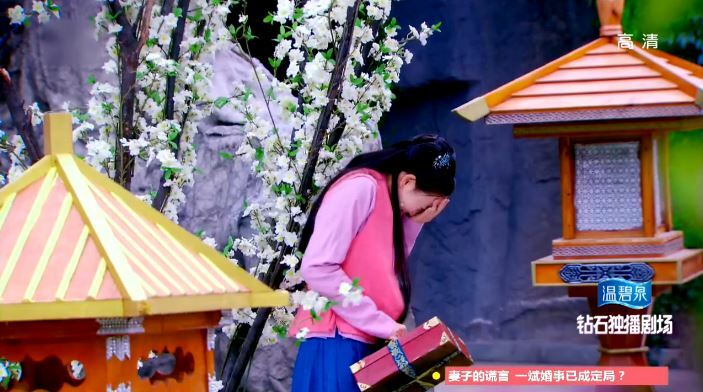 Li Mo learns a new trick and sees some things she is not supposed to see. Plus a lot of our old “friends” are going to wave bye-bye. Previously on The Four… catch up with episode 8 recap! Zhu Ge takes Li Mo’s mind reading to the next level by testing her out on the streets using random people. In addition, she must close her eyes and use her heart and ears to observe. First, she has a hard time, but after refocusing she is able to hear several people’s inner thoughts. Suddenly, they see a couple who are fighting in the street corner. Li Mo is able to read that the woman is leaving the man because she is going to marry a richer guy who can help pay for her dad’s medical fees and provide money for her brother’s education. Meanwhile, the man who is getting dumped decides that he will not trust women ever again. Li Mo laments that it is really sad she also hears these bad things too. Just then, the pair spots a man telling a young girl that he is going to bring her to his aunt’s house when in fact Li Mo knows he is selling her to a brothel. Li Mo and Zhu Ge follow them along and rescue the girl! Yay! Li Mo also mistakes a man for a thief, but it turns out he is just guilty of stealing another girl’s heart. Zhu Ge tells Li Mo that human hearts are complicated so it will be hard to read. Li Mo gets caught by the men and Leng Xue comes by to scold her (of course). She runs away quickly, but things have spread everywhere. 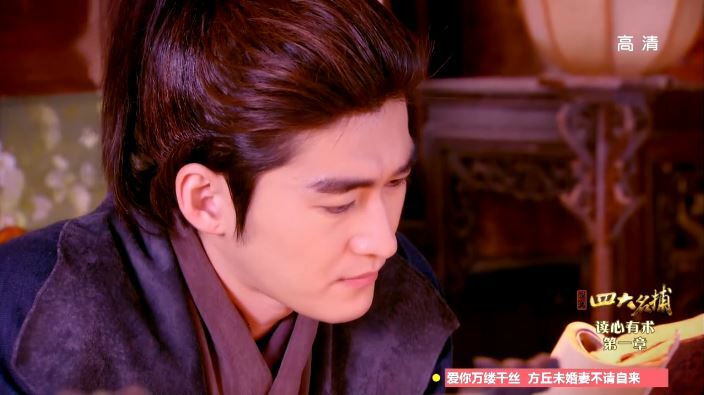 Two of the female detectives report this to Ji Yao Hua, who is not interested in perpetuating the rumor, but this doesn’t mean everybody else feels the same way. The two female detectives give Li Mo a list of rules she is to obey by – no looking at Leng Xue, no talking to him and no thinking about him. 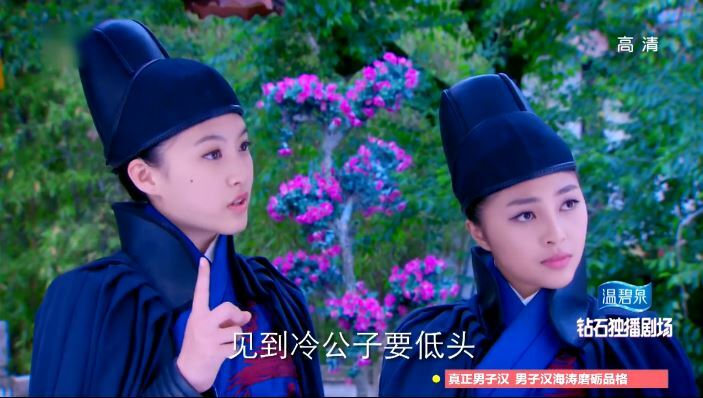 Li Mo doesn’t take it sitting down and let them know that she is NOT interested in Leng Xue at all. Li Mo returns to Leng Xue room and the air is totally intense. Leng Xue: Without my permission, you can’t leave this room. Li Mo: What right do you have to close the doors? I already told you it wasn’t my fault. You are totally unreasonable. Li Mo: Hello? Hello? Are you ignoring me? Fine, if you ignore me, I’m going to go back to my side of the room then! In the other part of town, Si Da Xiong Tu (remember them? The four, now three, bad guys) have kidnapped a bunch of toddlers. In order to get these kids back, they ask to have a showdown with Shen Hou Fu. Seriously though, have they not learnt from the other times that their skills are lacking? During a visit to the Fox’s home, Li Mo learns the truth about the Fox and the fact that the real Ye Er is probably imprisoned somewhere. She finally makes up her mind to tell Zhu Ge, but gets stopped by the Fox who returns to her normal form. The Fox continues to seek Li Mo’s sympathy and repeats again that she is doing this for her husband. However, she also reveals that she will not let anyone know where Ye Er is unless if she gets her hand on some blood. Just then, Leng Xue appears! ah-ha! you are the fox! The Fox and Leng Xue start a fight and Li Mo gets caught in the middle, being used by the Fox as a human shield. 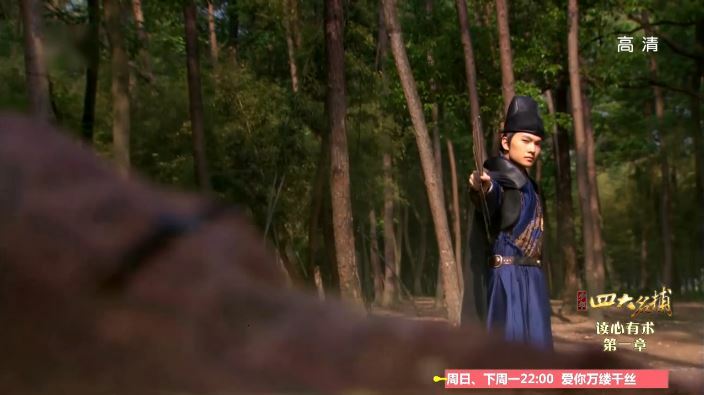 In order to save Li Mo, Leng Xue relents and offers up his blood. The Fox lets Li Mo go and gets on her way happily. I only hope she sees what ASG has in store for her! She is heading for tragedy, only she doesn’t know it yet! Meanwhile, the other detectives are facing off with the Si Da Xiong Tu, but the bad guys are not playing fair. First, they throw a bunch of pepper powder to confuse and slow down the detectives. Then, they sneak up and slaughter a few small fry detectives. 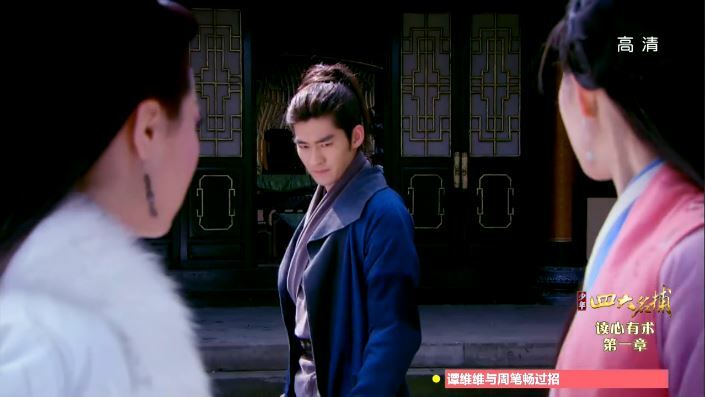 Soon enough, Wu Qing starts to face off with the leader while Tie Shou fights with the woman of the group. Zhui Ming runs to save the kids. About a million poses and such later, all the three bad guys are defeated and all the kids are safe! pose, you are on camera! In other news, ASG follows the Fox to her home and takes over the blood he wants so badly. She asks for the medicine in return, but he tells him the cold hard truth that such medicine does not exist. She is furious and lies to him, telling him that the blood he has is not the real deal. ASG throws the bottle back and her husband blocks the hit for her, officially dies. The upset Fox chases after ASG and tries to kill him by binding him with her tails. He doesn’t seem worried and of course she is no match for him. ASG easily breaks free and cuts off all her tails in the process. Because she cannot live without tails, she is doomed. Dang. Haven’t had enough? Click for episode 10 recap! 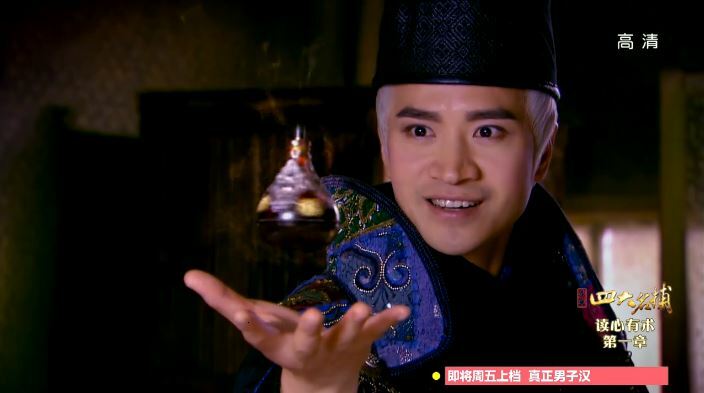 Li Mo did not secure Leng Xue’s blood in the last episode; it was just a dream! me too! it couldn’t be THAT easy for ASG to get his paws on the blood!